To say we’re living in disharmonious times is an understatement these days. Our country and the world are in desperate need of transformation. With the Special Prosecutor’s investigation into the Trump administration’s possible Russian collaboration and the extreme Right’s continued efforts to force its agenda upon us, many are seeking ways not only on how to navigate these confusing times for themselves, but as much on how we rebuild and reunite this country in the aftermath. JOIN Barb and John as they discuss With the Right Heart and find out how you can be a part of the solution and what can be done to rebuild democracy in 2018. Joining the show during the second hour is international speaker, transformational leader, celebrity coach and New York Times bestselling author Christy Whitman. Christy will be discussing her latest book, Quantum Success: 7 Essential Laws for a Thriving, Joyful and Prosperous Relationship With Work and Money. Quantum Success in your relationship with work and money unfolds naturally and exponentially once you learn how to harness the power and energy of the Universe. It is the kind of success that is created from the inside out, as a result of being internally aligned with your highest vision of external success. Whether your vision is starting your own business, rising to a different position within your current company, or landing your first job, Quantum Success will help you make the prosperity and fulfillment of your dreams a reality. Through her accessible, empowering writing, Christy Whitman shares the fundamental principles that she’s discovered after more than 20 years of studying universal forces such as polarity, alignment, resonance, momentum, and magnetism. Christy will explain how to harness these forces to optimize your wealth and career. Exemplified by numerous case studies, Christy’s 10-step plan will show you how to establish inner relationships with future clients, associates, and employees, work with light and energy to magnetize opportunities and resources, build a culture of value and appreciation that brings out the very best in those around you, and operate at your highest capacity. Christy Whitman is a transformational leader, celebrity coach and the New York Times bestselling author of The Art of Having It All: A Woman’s Guide to Unlimited Abundance. Her new book, being released by Enliven, a division of Simon & Schuster, on September 25, 2018, is called Quantum Success: 7 Essential Laws for a Thriving, Joyful and Prosperous Relationship With Work and Money. 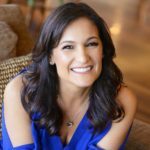 Christy has appeared on The Today Show and The Morning Show and her work has been featured in People Magazine, Seventeen, Woman’s Day, Hollywood Life, and Teen Vogue, among others. Christy’s life-changing message reaches over 200,000 people each month and her work has been promoted by and featured alongside esteemed authors and luminaries such as Dr. Wayne Dyer, Louise Hay. Marianne Williamson, Marci Shimoff, Brian Tracy, Neale Donald Walsch, and Abraham-Hicks. For more information, visit https://www.christywhitman.com.